The Ceramic Arts Club operates on a fiscal year starting on the first of July and continuing through the end of June. Membership in our club must be renewed each year by the end of the month of July, at which time every CAC member fills out a membership form and pays all dues and locker fees. A roster of CAC members is printed each fall and distributed (free) to all club members. This roster is a valuable resource; it includes the official Ceramic Arts Club By-Laws, a list of the current CAC Board Members and other responsible persons in the CAC, and other pertinent club information. Nominations for CAC officers are announced at the our club's March General Meeting; the slate of nominees is also published in the Rossmoor News and on this website. The election is held during our April General Meeting. The terms of the newly-elected officers start at the beginning of the fiscal year (the first of July). The CAC’s Officers are: President, Vice President of Education, Vice President of Programs, Secretary, and Treasurer. 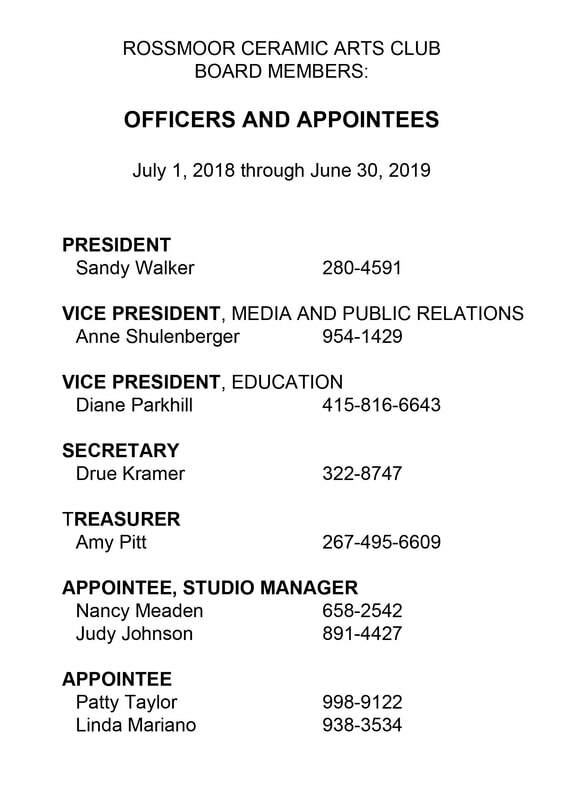 We also have one or two Studio Managers (appointed by the elected Officers), in addition to one or two other appointees (optional) on the Board. All of these positions are filled by volunteers; the CAC does not employ any paid staff. 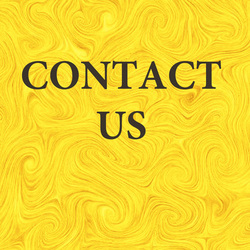 Note: To send a message to any of the Board members, click on the Contact Us button.